These days most of us do most of our unpopular messaging online rather than marching down the street, and the greatest threats to such speech are not government authorities but rather those who seek to prevent us from having access to open digital spaces such as social media. I don’t mean people who shut you out of their own spaces, e.g. blocking you from posting on their Facebook page, or from commenting on their blog. Everyone should be able to control who gets to access their own personal spaces, obviously. I do refer to those who endeavor to get others suspended from using their own accounts to access digital spaces. Now this is my idea of a truly useful block bot. You might well expect that freethinkers value critical thinking and open dialogue too much to engage in that sort of behavior, but you would be wrong. There is a tool called “The Block Bot” to which twitter users may subscribe if they don’t want to have to interact with either radical feminists or equity feminists who have somehow run afoul of Atheism Plus orthodoxy. By subscribing, users give the bot’s admins permission to choose whom they will block. This is an oddly mixed case, wherein people are seemingly acting so as to preserve their own spaces, but their collective action has the effect of shutting others completely out. So far, I have found and documented at least a dozen accounts which were suspended after being mass-blocked by the block bots . My list is woefully incomplete, and the Bot programmers have thus far refused to release their complete list of suspended accounts. Presumably this is because they hope to maintain the illusion that the bot does not significantly influence Twitter’s inscrutable and undisclosed suspension algorithms. Of course, we can safely assume that they aren’t withholding that sort of information because it would exonerate them. Shorter A+: We are delighted to mete out vigliante justice, and anyhow we were wearing masks at the time. Then again, maybe I’m being unfair to the supporters of the bot. Perhaps they can morally justify the permanent supension of each and every person who is currently suspended and may be found on their as-yet-unreleased complete list of dead blocks. If so, I will happily retract and eat a big plate of crow. ETA: Someone recently bought loads of fake followers for The_Block_Bot on twitter. Since this underhanded tactic has been known to get accounts suspended, I find it just as deplorable as mass blocking. Are you suggesting that someone other than ool0n bought these fake followers in order to sabotage the Block Bot? That would be an interesting turn of events. I am suggesting that it is quite possibly a misguided attempt to suspend the account, and that we remain agnostic unless we have some data to indicate who actually bought those fakes. I just added an update on the end of my recent post about the Atheism+ Block Bot linking to this post (see http://www.atheistrev.com/2013/09/the-atheism-block-bot-vs-banning-books.html). It sounds like the effects of the Bot may be worse than what I initially thought. No because as we’ve had this discussion before and we agreed if accounts started dying like flies we’d consider even turning it off. Since then the user number has gone up 10 fold and suspensions are almost non-existent. None I can see happen when the account is added to the bot … Even if they did it’s far more likely people who follow the account manually blocking and reporting for spam. What do you think of the latest block and report for spam against my account @ool0n and @the_block_bot? Neither campaign resulted in a suspension … Point proven? Since then the user number has gone up 10 fold and suspensions are almost non-existent. I’d be happy to believe this, after perusing the entire list of dead blocks for myself. 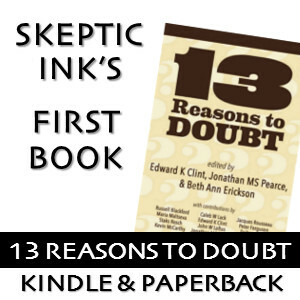 Until then, this is a claim that you are asking skeptics to take on faith. You seem to be taking it suspending accounts on faith. You not noticed its recent tweets? The application has been suspended by Twitter for some time and hence no blocks applied. But of course any suspension that has occurred recently has been blamed on the bot. Despite this being impossible! How long has the app been offline? Took me a while to notice, oops, so the beginning of Sept at least… Got a blog post on it. Twitter will hopefully soon sign it off as not able to cause suspensions. I’d be happy to comb through the entire dead blocks file to figure out which ones happened before that. You know where to reach me. It may well be in your interest to have someone like me (no friend of the bot) go through the data. If I say that the Bot was a contributing factor in only X cases, that is going to be somewhat more credible than your own protestations that your own baby isn’t really all that ugly. What do you think of the latest block and report for spam against my account @ool0n:disqus and @the_block_bot? Neither campaign resulted in a suspension … Point proven? Of course not. The theory needs to be tested on new and vulnerable accounts, with few followers, rather than well-established ones. Surely you are already aware of the difference here. These people are insufferable. They are dishonest, puritanical, censorious, illiberal, dogmatic, vindictive, unethical, hateful, self righteous, arrogant and ignorant. They are all of these things and more. The irony is all of these things are the opposite of free thought, skepticism and social justice. yet they get away with being all of these things by saying they are free thinking skeptics fighting for social justice. That is whats so scary, today, society is so liberal it matters not whether they are dogmatists and bullies. The urge to be seen as anti racist and anti sexist & the fear of being accused of racism or sexism is stronger than the urge to oppose these dogmatic bullies. Hence hateful forms of anti scientific feminist theory and counter productive and bigoted forms of scorched earth anti racism (which are based on conspiracy theories about white supremacy, hatred of white people and a quite frankly racist inability to hold minorities to the same standards of morality as the rest of us) permeate the halls of academia, the media and government. I’m not saying you’re wrong, but that last paragraph would be much better with hyperlinks to make it plain what you mean by “scorched earth anti racism” and your various claims about it. For example criticising Islam is routinely denounced as a form of racism & cases like Zimmerman are shot through with this pernicious form of anti racism. In fact the Zimmerman case is a prime example. Despite all the evidence, in the name of anti racism, the mainstream discourse was one where a mixed race guy who had dated black women and defended a homeless black man was cast as a white racist, a tough young man with a shady history was cast as an angelic child shot because of his skin colour. Following someone was re defined as stalking and a self defence plea was described as a stand your ground defence. Any attempt to discuss black criminal culture as a contributing factor or to put some perspective on the fear mongering about there being an “open season on black men” by pointing out fact that “white” men shooting black men is quite rare and far less likely than black men shooting black men was deemed outside the realm of polite discourse. Identities were changed, words redefined, facts ignored and non racists accused of racism all in the name of anti racism. Pretty scorched earth stuff me thinks. I would comment forthrightly on this, but then I’d be called a racist. I’m not entirely sure if self-destruction is the best outcome here. I’d much rather that they recognized the harm they are actively causing (via both temporary and permanent suspensions) and stopped being so damnably callous about it.